Electronics Costs > How Much Does an Ouija Board Cost? How Much Does an Ouija Board Cost? 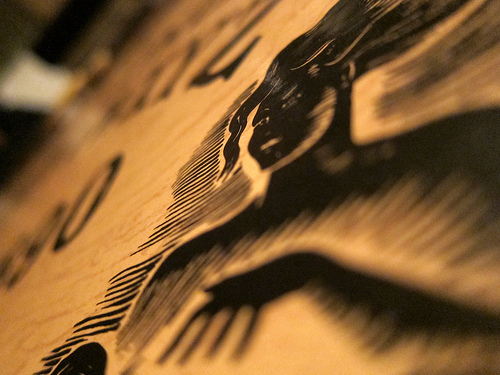 The Ouija Board is popularly known as a spirit board or talking board. It contains letters and symbols as well as an indicator to mark the spirit’s message. Although some find this scary, an Ouija Board serves as a challenging game to most people. During the so-called game, you ask a question and then use a heart-shaped wooden planchette, which supposedly spells out “the spirit’s” message. While this was originally designed just for fun, it became a tool used for séances and was used during spiritual gatherings. Because of this, many religious groups believe that it is demonic and encourage people not to use it. Although the Ouija board is not the only type of “talking board,” it is the most common and is often used to describe any board or game of this type. Depending on the quality, most Ouija boards are going to be between $15 to as much as $110. A higher-quality board made of glass, for example, can cost upwards of $100, while a cheaper one found at local retailers can cost less than $30. An antique or vintage board, however, could cost more than $300. The original William Fuld Ouija board, for example, can cost as much as $30 to $180+ used on eBay. The highest rated Ouija boards on Amazon.com, for instance, retail for about $15 to $25. At Walmart, for instance, the glow-in-the-dark board retails for close to $70 while a basic board with no frills retails for $20. Inside the packaging will include a flat board with letters, numbers 0 to 9, other symbols, a “yes,” “no,” and “goodbye.” The board comes with a planchette, which is a small piece of wood or movable indicator, that is used to tell the spirit’s message when a séance occurs. The participants put their fingers in the planchette and it is then moved around the board, spelling out the message. An Ouija Board can be made of various materials such as wood, plastic, or glass, but the most common type, especially if you purchase one at your local retailer, will be made from wood. An Ouija board is also popularly known as a spirit board or talking board. Ask the board a question, and it will supposedly answer it. During the game, you and your partner will sit on opposite sides of the board. With fingers placed on the message indicator, the indicator will reveal the answer via the message window. Additional pieces, such as a planchette, can cost upwards of $15. Some board planchettes will use AAA batteries. The first Ouija board was created in 1890 by the Kennard Novelty Company. Today, this board is a registered trademark of the Hasbro company. Some religions have associated the use of this board with demons. Because of this, an Ouija board is sometimes hard to find at a local merchandise store such as Meijer or Walmart. Your best option is to purchase this product online. eBay has hundreds of slightly used boards for up to 50 percent less than what you can find at a local retailer. There are online Ouija boards that can be used for free or for a low cost. When using these, the mouse will act as the planchette. These types of Ouija boards are more for fun than they are for use in séances or other gatherings. Consider this option if you want to see how the board works. Consider making your own ouija board. This YouTube video, for example, shows you how it can be done.